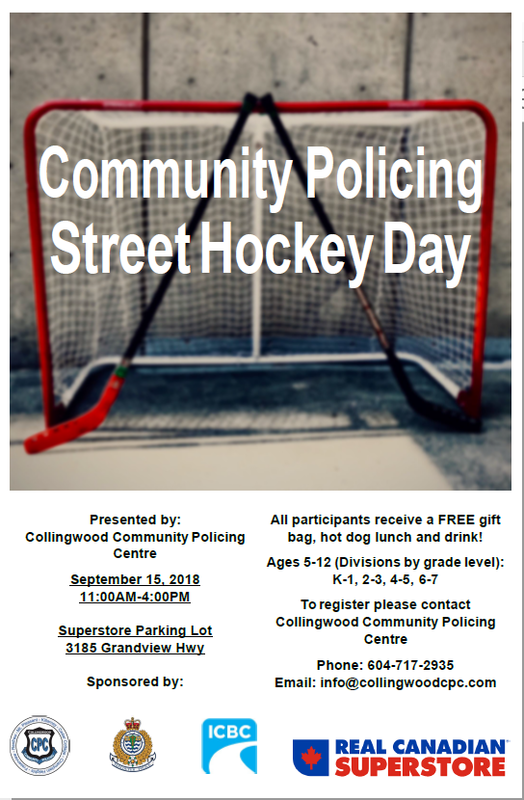 First annual Street Hockey Day September 15, 2018 – 11:00am – 4:00pm. Presented by Collingwood Community Policing Centre. Sponsored by CPC, Superstore, and ICBC. No cost tournament for youth of the community.